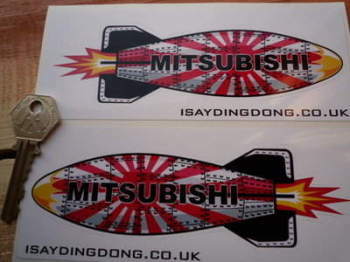 Mitsubishi - I Say Ding Dong Shop - Buy Stickers, Decals & Unique Automobilia. 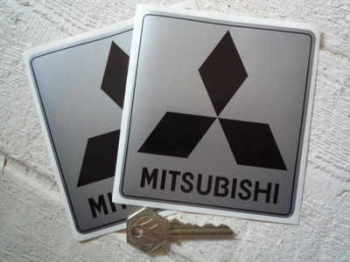 Mitsubishi Black & Silver Sticker. 6" or 8"
Mitsubishi Black & Silver Stickers. 4" Pair. Mitsubishi Black & Silver Stickers. Set of 4. 2". Mitsubishi Colour Stickers. 4" or 6" Pair. Mitsubishi Cut Vinyl Stickers. 4" Pair. 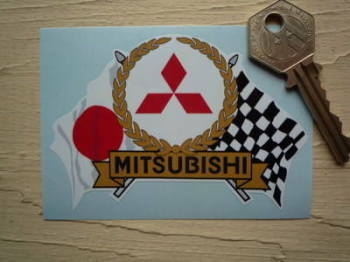 Mitsubishi Flag & Scroll Sticker. 3.75". Mitsubishi Japan Hinomaru Style Stickers. 2" Pair. 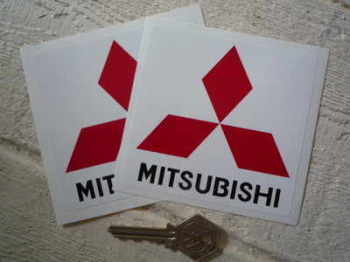 Mitsubishi Motors Stickers. 5" Pair. Mitsubishi Number Plate Dealer Logo Cover Stickers. 5.5" Pair. Mitsubishi Ralliart Parallelogram Shaped Stickers. 5" Pair. Mitsubishi Red, Black & Silver Stickers. 4" Pair. Mitsubishi Shaped Torpedo Stickers. 6" Pair. Mitsubishi Wheel Centre Style Stickers. Set 4. 58mm.